Powerful 15.0 AMP motor delivers 5,800 RPM for proven performance and jobsite durability. Lower guard design improves performance when making bevel and narrow cuts. Large cutting capacity. Two built-in L.E.D. lights illuminate the line of cut for increased accuracy. Well balanced design for superior handling and performance. 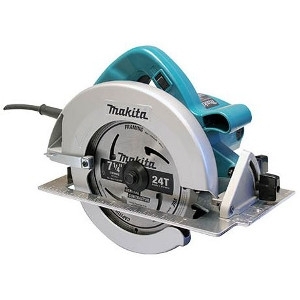 Heavy gauge aluminum wraparound base engineered for improved durability and straighter cuts.